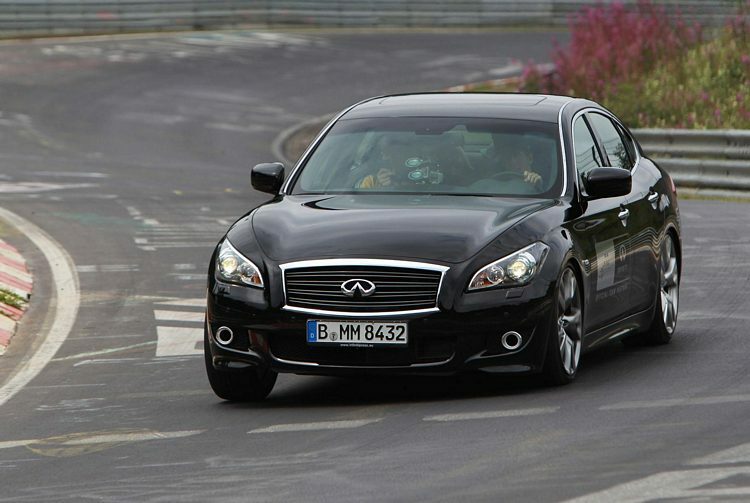 The world’s fastest accelerating hybrid, the reigning Formula One World Champion, his team-mate, and the demanding Nürburgring Nordschleife all come together to mark the start of European sales of the Infiniti M35h. Yes, it’s a race. 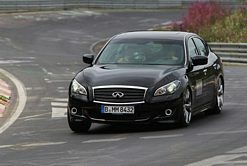 On the right, Sebastian Vettel in the new M35h – 364PS of petrol/electric firepower, 0-62 mph – in 5.5 seconds – and available at Infiniti Centres throughout Europe since 5 September. On the left, his Red Bull Racing team-mate Mark Webber in the M37 S Premium ­– 320PS of pure petrol V6 power for 0-62 mph in 6.2 seconds – equipped with the Four-Wheel Active Steer of the S Premium model. Ahead of them both: the 13 miles and 73 bends of perhaps the most iconic, and certainly the most demanding, racetrack in the world. Hybrid or petrol? Vettel or Webber? The winner of the very special race, arranged to mark the start of M35h sales in Europe, won’t be revealed until press day (13 September) at the Frankfurt Motor Show. What can be revealed now is that Webber was “blown away” by how responsive the M35h is, while Vettel – Infiniti’s first Global Brand Ambassador – said the encounter between the two team-mates on such a challenging track was “good fun”. What also can be revealed is that the 155mph M35h is the first no-compromise hybrid, a spacious four-door saloon which marries its storming performance with 40.4mpg fuel consumption (combined cycle) and CO2 emissions of just 162g/km. The M35h is available at 45 Infiniti Centres across 21 European countries to typically lavish Infiniti specification – and at a surprisingly modest price premium over the equivalent M diesel model. 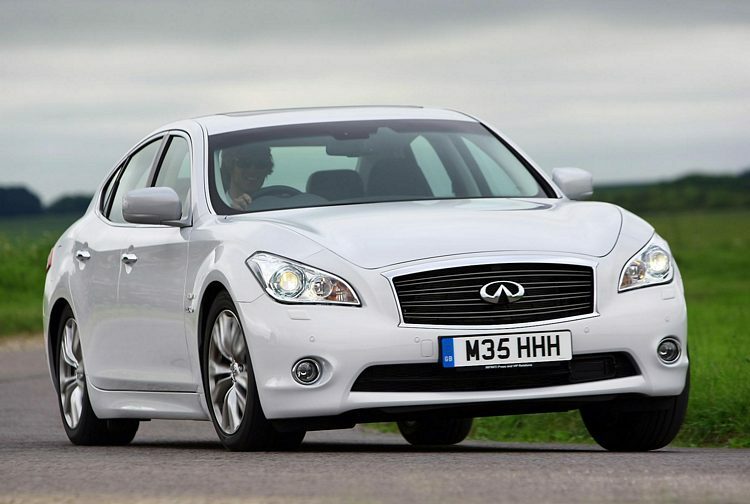 In the UK M35h costs £46,840, just £1,180 more than the equivalent Infiniti M30d.